image by Gloria Jones (lic)Complementary and Alternative Medicine (CAM) techniques, such as Traditional Chinese Medicine, Acupuncture, Ayurveda, Homeopathy, and Herbal Therapy are neither entirely medical or psychological in nature, but rather fall into a category of their own. Though many people turn to these techniques for relief from their depressive symptoms (Depression being one of the top five conditions CAM approaches are called upon to treat), very few of these approaches have been tested in clinical trials for depression. Though there is often little scientific evidence to support these practices, there is nevertheless a long history of use with many of these practices. In addition, enough people report that they have gained relief from using CAM approaches to treat depression, that these treatments must be discussed in the context of this document. The premise of these alternative treatments is that no one suffers from depression in exactly the same way, or for the same reasons. Therefore, the treatment of depression should take into account the whole individual to find the remedy that will decrease symptoms. Perhaps the best studied and most famous CAM remedy for depression involves the use of St. John's Wort, which is an herbal preparation of a plant extract. Research does support the use of St. John's Wort as a stand-alone alternative treatment for depression. In parts of Europe, this herb is often the preferred remedy for treating depression. At this time, St. John's Wort is probably the only true stand-alone CAM therapy that can be recommended for treatment of depression. All other CAM therapies are typically considered adjuncts (additions) to other treatments. The benefits provided by other CAM therapies, such as exercise, 5-HTP, SAMe and Omega-3 oils are less consistent, and seem to depend on the severity of a person's depression, as well as his or her individual reaction to such therapies. Additional research to further clarify the role of these CAM treatments for depression is necessary. According to many CAM practitioners, a coordinated combination of therapies will likely produce better treatment benefits than any single remedy taken alone. This is especially true for the treatment of depression; becoming more engaged and active in your therapy tends to lead to better results. For example, consulting with a health care professional, taking Omega-3 Fatty acids and a B-vitamin, and exercising might help you gain control over your depression more quickly than solely relying on one CAM treatment approach. 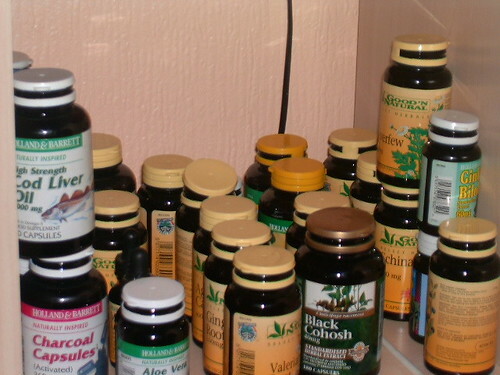 Though many CAM remedies are available over the counter in the form of herbs and supplements which are often thought of as harmless, these products can be dangerous when misused. It is not enough to read a book about CAM remedies (or a web page - including this web page!). Instead, the wise course is to consult with a a qualified CAM practitioner who can help determine which combination of treatments, and in what dosages, would be most beneficial for you.